Global Radio is to scrap its Galaxy network, and four further stations, to create a new nine station Capital FM network, which will be known as "95-106 Capital FM, The UK's No. 1 Hit Music Station". New Capital stations will replace the six Galaxy stations operating in Scotland, the South Coast, Birmingham, Manchester, Yorkshire and the North East and the Hit Music Network stations Red Dragon, Trent, RAM and Leicester Sound. From early 2011 the nine stations will be known as Capital London, Capital Scotland, Capital North East, Capital Yorkshire, Capital Manchester, Capital Birmingham, Capital East Midlands, Capital South Wales and Capital South Coast. Red Dragon will become Capital South Wales. Trent, RAM and Leicester Sound will merge to form a single service, Capital East Midlands, a move enabled by the changes Ofcom made to local radio regulation following the Digital Economy Act. Global Radio did not need further regulatory approval to create the national Capital network because the music currently being played on the Hit Music and Galaxy stations is the same genre as is played on Capital. Each of the nine stations will have its own locally produced breakfast and drivetime shows and additional local news but other programmes will be networked, including daytime shows from two Capital 95.8 FM presenters Roberto and the Bassman. Stephen Miron, chief executive of Global Radio, said: "We will be the first commercial radio business to have three stations up against the BBC’s Radio 1 [Capital], Radio 2 [Heart] and Radio 3 [Classic FM]. It will be the first time there has been true competition to the BBC." Miron said "a handful of jobs" will go as a result of the changes but declined to give precise numbers. Miron said: "This is not about cost saving. It is about investment in the future. We will be spending money on marketing, new technologies and our sales force." While Miron was unable to confirm an exact date he said the Capital network will launch in early January and will be supported by a "significant and sustained" multimedia marketing campaign. He declined to comment on exactly how much money Global would spend. Miron said: "We will be spending a significant amount marketing the new network, as we did with Heart, which is a great thing. Some of these stations haven’t had any marketing money ever and are getting marketing budgets for the first time." Global completed the rollout of its national Heart network on 22 June 2009. Miron said since the Heart rebrand the number of advertisers who spend more than £250,000 on Heart has grown by 94%. Miron said: "Heart clearly demonstrates our strategy of national brands delivered locally has been a success. Though we looked at rolling out Galaxy or creating a new brand we decided Capital is much bigger and broader than London." In June Global Radio announced that it was to cut the number of stations in the Heart network from 34 to 15 with the loss of up to 200 jobs and switch the 26 station Gold network to a single networked service. 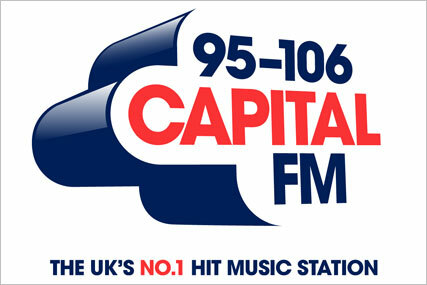 Since June there has been industry speculation about whether Global Radio was planning further changes, which intensified when Global changed the tagline of the Galaxy network to the same format as Capital – "[the area's] number one hit music station".